If the Space Race characterized the twentieth century, it's possible the Teleportation Race may characterize the twenty-first. Scientists all over the world are trying to perfect teleportation techniques, for a wide variety of applications including communications technology. (Sorry, this isn't the kind of teleportation that involves sending you through a wormhole to the other side of the galaxy.) And now, a group of researchers led by Juan Yin at the University of Science and Technology of China in Shanghai have published a paper on ArXiv describing how they teleported entangled photons over a distance of 97 kilometres across a lake in China. The trick these guys have perfected is to find a way to use a 1.3 Watt laser and some fancy optics to beam the light and receive it. Inevitably photons get lost and entanglement is destroyed in such a process. Imperfections in the optics and air turbulence account for some of these losses but the biggest problem is beam widening (they did the experiment at an altitude of about 4000 metres). 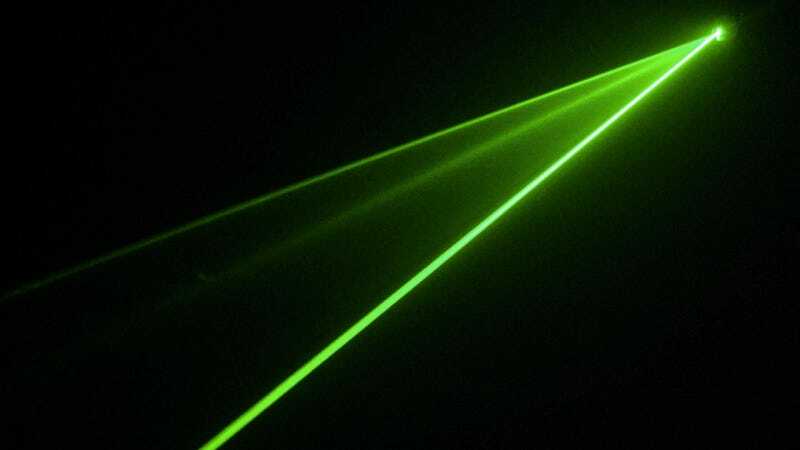 Since the beam spreads out as it travels, many of the photons simply miss the target altogether. So the most important advance these guys have made is to develop a steering mechanism using a guide laser that keeps the beam precisely on target. As a result, they were able to teleport more than 1100 photons in 4 hours over a distance of 97 kilometres. That's interesting because it's the same channel attenuation that you'd have to cope with when beaming photons to a satellite with, say, 20 centimetre optics orbiting at about 500 kilometres. "The successful quantum teleportation over such channel losses in combination with our high-frequency and high-accuracy [aiming] technique show the feasibility of satellite-based ultra-long-distance quantum teleportation," say Juan and co.